There is a reason that the fundamentals are fundamental. The important things that build the core results weren’t determined by a guess or a whim. They were observed over long periods of time as being those things that were necessary to producing great results. You don’t have to like the fundamentals, but you do have to obey them if you want to produce the best results. Without identifying your dream clients, your targets, you are attempting to win through luck instead of intention. If you don’t have a list of prospective clients for whom you are certain you can create breathtaking, jaw dropping, earth shattering value, then you are only going to win these clients by accident. You need a list of targets. If you don’t have one, go watch the second video in the Iannarino.io launch series here. Download the workbook and do the exercises. Calling your dream client once a quarter to check in is not a pursuit plan. The person you are trying to reach won’t even notice that you are pursuing them. You are making it too easy to ignore you. A quarterly email doesn’t make a mark at all. You are deleted without a second thought. If your plan to gain an appointment with your dream client doesn’t include 36 touches over the course of the year, it isn’t likely to provide you with a reasonable chance of succeeding over time. Why on Earth would you email your prospective client your proposal and pricing? Why would you deprive yourself of presenting your solution and having a collaborative conversation about what might be changed? More still, why would you leave your dream client to resolve their concerns without your counsel? Once you’ve provided your solution and pricing by email, you have decided that your relationship was transactional. Your prospect doesn’t have to take your call or return your email. Because there was no conversation, no context, and no counsel given, you’ve deprived yourself and your prospect of the real value you create. 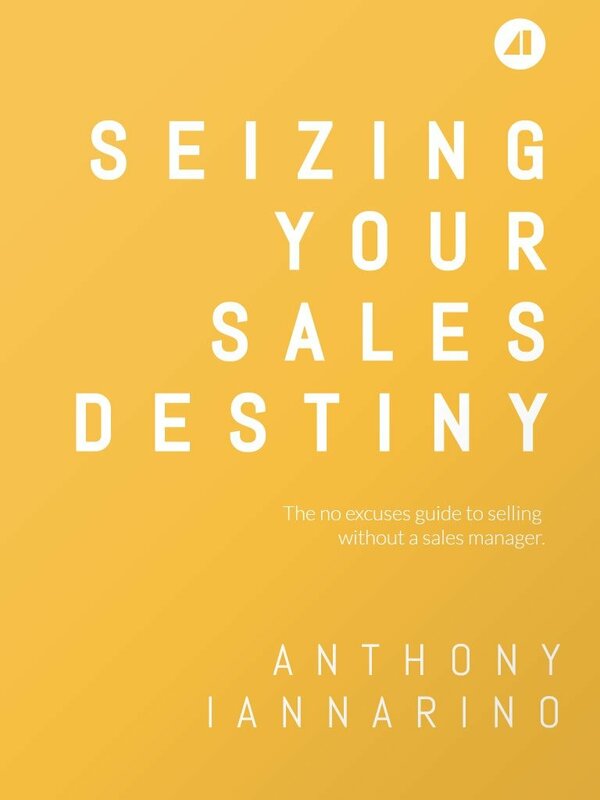 Business Development Reps and Sales Development Reps invariably ask one question: Where is the line where I should hand over the prospect to the salesperson? The question really is “How much value am I allowed to create?” This is a question because the salesperson who is being handed the prospect wants a qualified lead but doesn’t want the prospect to have already gone through the discovery process. This deprives the salesperson of creating value, in their mind. If you cannot, do not, or will not create value for your prospective client, they are right to refuse your request for an appointment. Your prospective client receives no value by being qualified. If you have no insight, no ideas, and no chops, you are wasting their time—and making your job a lot harder than it has to be. The reason we avoid the fundamentals is because, until you master them, they can be difficult to execute. Once you master them, they become second nature.